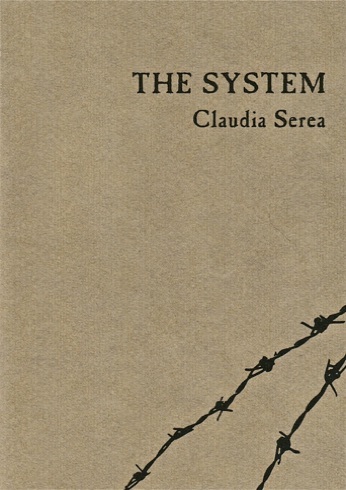 Claudia Serea is a Romanian-born poet who emigrated to the United States in 1995. Her poems and translations have appeared in 5 a.m., Meridian, Harpur Palate, Word Riot, Blood Orange Review, Cutthroat, Green Mountains Review, and many other journals. She was nominated twice for the 2011 Pushcart Prize and for 2011 Best of the Net. She is the author of To Part Is to Die a Little (Červená Barva Press), Angels & Beasts (Phoenicia Publishing, Canada), and A Dirt Road Hangs from the Sky (8th House Publishing, Canada), and the chapbooks Eternity’s Orthography (Finishing Line Press, 2007) and With the Strike of a Match (White Knuckles Press, 2011). She co-edited and co-translated The Vanishing Point That Whistles, an Anthology of Contemporary Romanian Poetry (Talisman Publishing, 2011). Claudia lives in New Jersey and works in New York for a major publishing company. The poems in The System draw on her father's experiences as a political prisoner in Romania in the 1950s and 1960s. Brief, black & grimly humorous they speak out against repression systems everywhere. “The only true way to honor the victims of state-sponsored oppression is to tell their stories with clear-eyed honesty. poem sequence which is included in The System.